Posted by Sam Smith on Friday, May 10th, 2013 at 8:46pm. 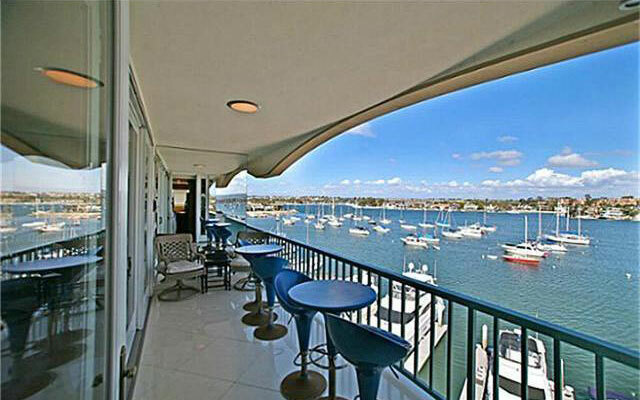 One of the best places to find condos with boat slips in the Newport Beach area is the Newport Bay Towers. The condos were originally built in 1963 and sit on the Balboa Peninsula near the Balboa Fun Zone. Select condos in the complex will have boat slips that can accommodate up to a 60 foot yacht. These bayfront condos are also some of the most affordable condos in Newport Beach and currently range from $1 to $2 million dollars. The HOA includes water, gas, trash, sewer and basic satellite TV with homeowners association dues on average of $690 a month. Some of the residents in the building have combined units to make one larger unit. Another condo located is the Vista Del Lido condos in Newport Beach. These condos currently start at $1,395,000 and are located in the heart of the historic Lido area and offer residents with docks up to 50 feet as well as electric boats. The owners have the following amenities which include heated pool, spa, outdoor barbecue with front row seating for the annual boat parade. Below are the available condos for sale in Newport Beach with boat slips.